Well, that Margaret (sat-nav), she definitely needs to go back to sat-nav training school. We plugged her in this morning for our drive to Colorado Springs and she said there were no hold-ups and the drive would take just over two hours. Wrong! We had only been driving for 20 minutes when we came across road works that held us up for 45 minutes!!!! 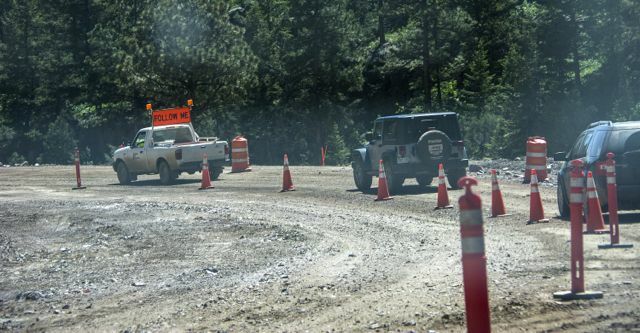 Work was being done to widen a road and it entailed rock blasting! When we eventually managed to drive through I actually saw the man attaching the wires to the plunger to blow up the next lot of rock. I said, “Punch it Margaret” to get our car moving. Didn’t fancy being under that lot of rock when it came tumbling down. Then, we drive ten minutes down the road and there’s another set of road works. 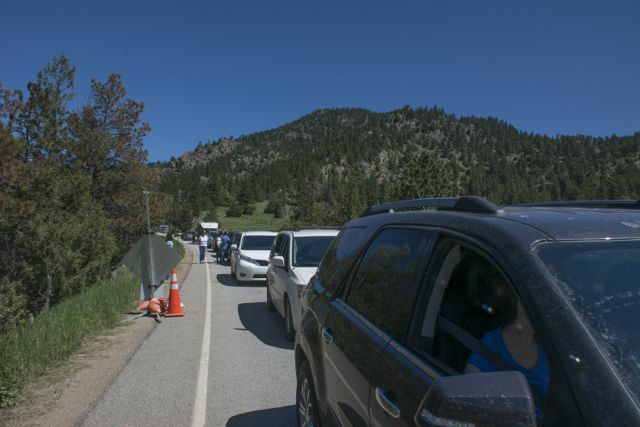 Luckily, we arrived just as our traffic was being let through so we didn’t have to wait. 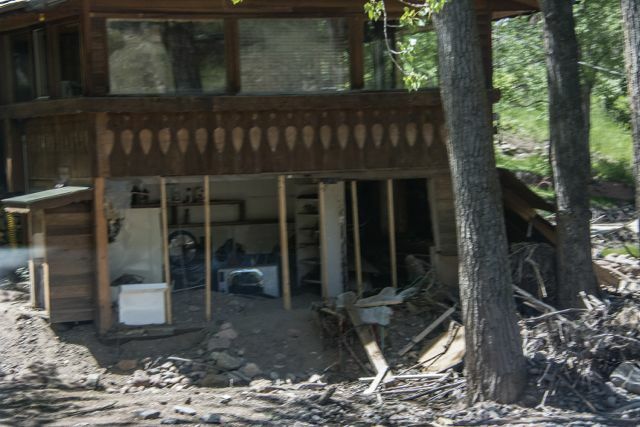 One sad thing we saw en-route was more flood damage to homes along the river. The homes had just been abandoned with appliances as they were when the waters hit. Very sad! It was quite a pleasant drive until we reached Denver!! I don’t know if it’s because we’ve been driving on little quiet roads for the past two weeks but I was scared to death!! At least four lanes of traffic all the way through Denver, drivers swopping lanes like maniacs and even through road works they didn’t slow down to the required speed. It was worse than driving in London! I just wanted to sit on the floor of the car and hide until we were out the other side! 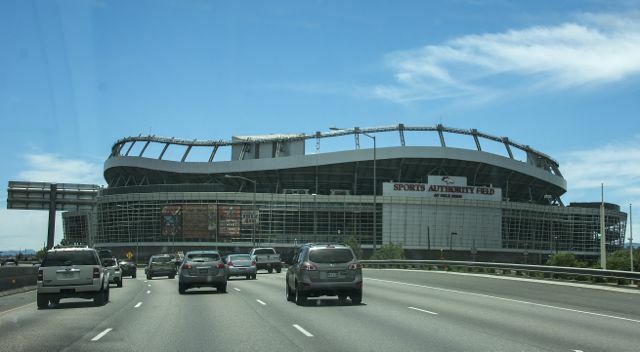 We did see the ‘Mile High Stadium’ the Denver Bronco’s stadium. Still, it was all worth it in the end because we’ve arrived at our hotel and they must have known the trauma we had been through because we were given a complimentary upgrade and are now residing in the grandest of suites. It’s also the hottest we’ve had on our trip so far. When we arrived it was 91 degrees, so nice and warm!! Tomorrow we start our adventures here in Colorado Springs by visiting Pikes Peak. We now have to go and try out the award-winning restaurant they have here. Bon appetite!! Thanks Bill. Sounds like you had a good day too!